Katherine O’Malley Ross was raised in the Cleveland area and attended college at Trinity College in Washington, D.C. It was in Washington, D.C. where Kathy met her husband Don, a student at Georgetown University. Kathy and Don married and settled in Manhassett , Long Island where they raised their four children. While raising her family, Katherine earned her Master’s Degree in Teaching at Queens College and taught in the Herrick’s school district until 2011. The Ross family has summered in Westhampton since 1987. 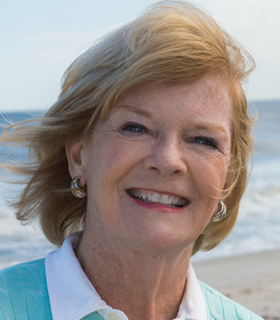 Kathy would be happy to give you her insight on the Westhampton area and help you find the home of your dreams.